Don’t have time to visit the waxing salon? 1. Take a shower before you shave. This will soften the hair and open up the pores, preventing strawberry skin. Bathe using warm water and prep your legs after three to four minutes. 2. Use a gentle scrub. You can also use a loofah and a mild body wash to scrub off dead skin cells. Waxing helps get rid of this layer, but you can also achieve the same results if you scrub before shaving. Focus on the parts where the pores are particularly noticeable. 3. Use the right razor. Go for a razor specifically designed for women and follows the curves of your skin, such as the NEW Gillette Venus Spa. Unlike other razors which can cause nicks and irritation, this product has three blades and built-in moisture bars to help it glide better over the skin, allowing you to achieve an instantly smooth shave! It also lathers on its own once water is added, and gives off a fresh, white tea scent to soothe your senses for a pampering and spa-like experience. This razor has an ergonomic design and pivoting head to ensure you're in control of your shave and feel smooth all over. It is gentle on the skin, too, so you can say goodbye to pain or irritation brought about by waxing. This will help give you a closer shave when working on areas like the knees. Bending your knees while shaving can also give you a better shave since it stretches the skin and lets you cover everything easier. 5. Follow the direction of your hair growth. Prevent stubbly hair by shaving along the direction of your hair growth. This can also prevent dark, unsightly pores because there is less chance of snapping your strands if you follow their natural growth. There will be #NoMoreFOMO for you if you can always flaunt your smooth legs whenever you want. 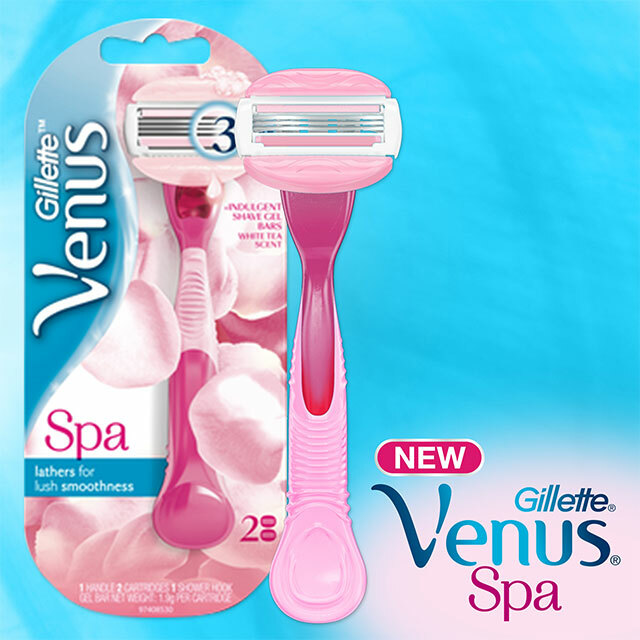 Try the NEW Gillette Venus Spa and join the #VenusSquad now! It's available in Watsons, Rustans, Shopwise, Mercury Drug, and other leading stores nationwide. You can also purchase it in Lazada by clicking here.